More information about the Japanese Chin Honor Bumper Sticker. 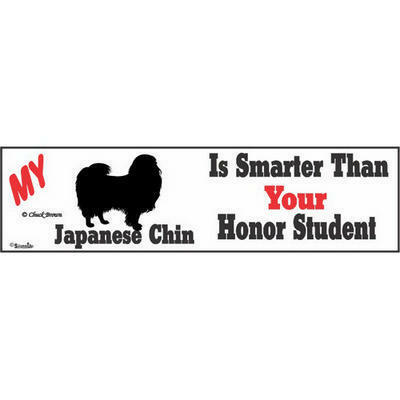 This "My Japanese Chin is Smarter than Your Honor Student" bumper sticker is a great way to show off your pride in how smart your favorite family member is. This humorous 3" x 11" vinyl sticker can be displayed anywhere.